This is the best Do-It-Yourself home security kit on the market because it offers a 24/7 monitoring services in addition to being easy to install. The kit comes with an easy-to-use control panel, door/window sensors, a motion sensor, a smoke detector and a key fob. Users can add more sensors in addition to connecting smart thermostats, smart electrical sockets, garage doors, and indoor or outdoor security cameras. 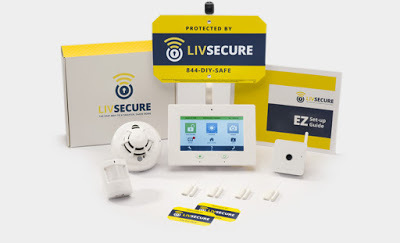 LivSecure uses Alarm.com for mobile monitoring, which means you can keep track of your home’s security all day and night with your phone or tablet. If you want mom to feel safe, give her the gift of security. Use code MOMSDAY for free equipment. www.livsecure.com Prices vary based on plan and equipment.